Tractor Supply Company wanted a brand awareness and product giveaway campaign. Parachute delivered by using Instagram in a unique way driving email signups. 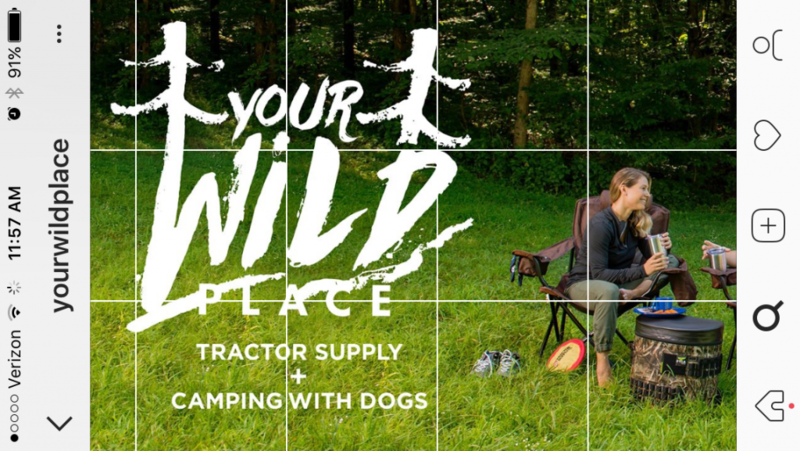 Tractor Supply Company wanted to partner with online brand, Camping With Dogs, for a brand awareness and product giveaway campaign to showcase how their products fit into the outdoorsy lifestyle. TSC is more than just horse feed and overalls! 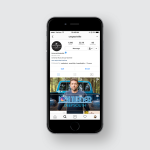 We built a campaign called “Your Wild Place” that uniquely used Instagram in a non-traditional manner. Instead of the traditional vertical format, we turned our phones sideways to build a continuous story. Each of the scenes were launched on consecutive days to ensure people kept coming back to the page. 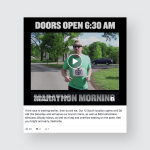 Users could explore the scenes where videos were used to find out what items they could enter to win. Thousands of people entered to win prizes throughout the week. TSC increased their email database and IG followers from the campaign. A new audience was introduced to TSC in a manner that was authentic and accentuated products that TSC is not commonly known for. View full the experience on your phone and flip it horizontally.